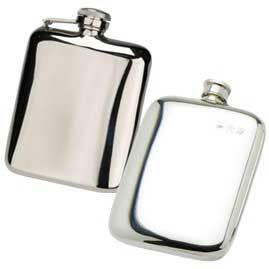 English pewter and stainless steel hip flasks. 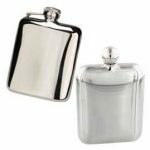 A hip flask makes the perfect gift for many occasions and with our extensive range we offer a great choice so you can really find the hip flask that will suit your needs. 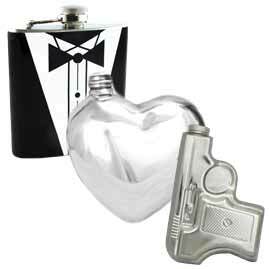 The hip flask has come a long way since the item first came about, although the idea is still to keep things relatively simple people do like to have something that is stylish as well as functional. 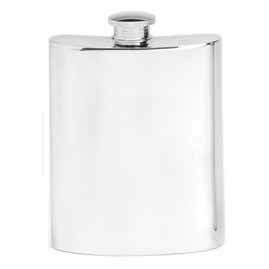 When it comes to purchasing a hip flask we have several options that really stand out: pewter, stainless steel and leather wrapped steel. 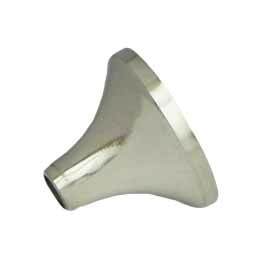 With all the mentioned there are different size and design options, this gives our customers the opportunity to really find the item that best suits their needs. 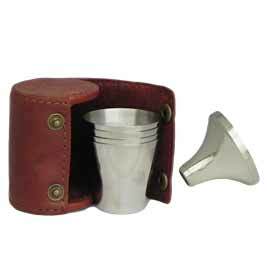 Pewter is a soft fine shiny metal that lends itself to flask design, pewter has been in use for hundreds of years and now it is lead free so makes for a great drinking container. 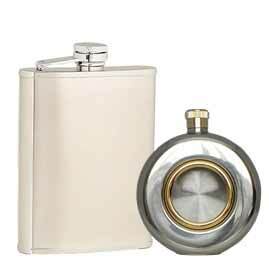 With an endless choice in designs ranging from the well known kidney shaped, the timeless round flask and the wonderfully traditional cushion shape you are sure to find something that fits the bill. 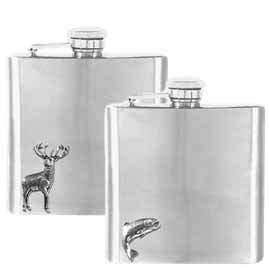 Our beautifully crafted pewter flasks come in many different sizes, shapes and artistic designs and are all handmade right here in the UK in Sheffield which is the home of pewter and pewterware in the UK. 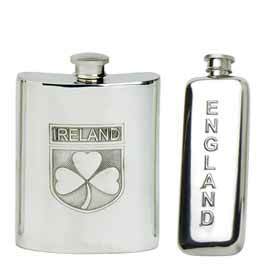 We have made it our business to track down the best looking and top quality pewter hip flasks so we can offer our customers a wide choice of great quality English made products. from other parts of the world. 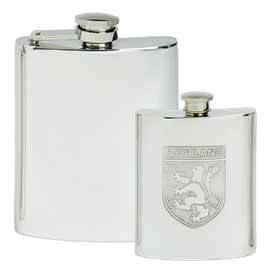 This ensures we remain competitive and are able to offer a wide range of products to our customers. 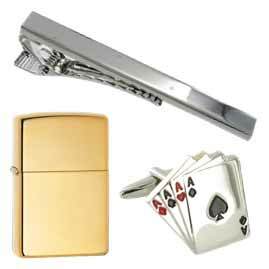 We make sure we only sell the best quality products ensuring our customers get a nice long life from their newly purchased item. 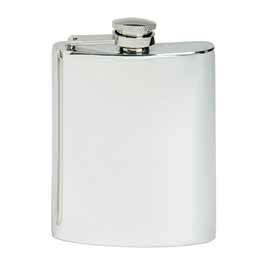 Steel is probably the most common used metal when it comes to flask production. 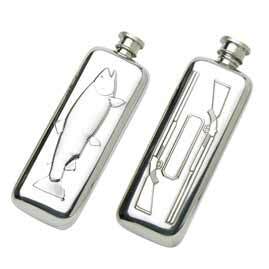 It’s generally much cheaper than pewter and due to production methods can be shaped and moulded easily. 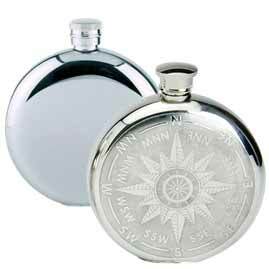 It has to be said that most steel flasks come from China and there is good reason for this, the price difference is large. 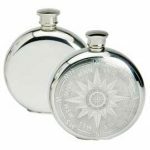 This however doesn’t mean that the quality has to suffer as we keep a close eye on our quality and make sure our customers receive the best. 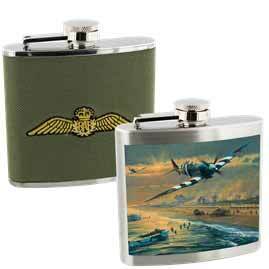 We sell products for every occasion and try and offer a style that suits everyone’s budget. 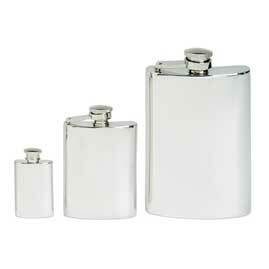 Our standard range of stainless steel flasks is very popular due to the quality and price. 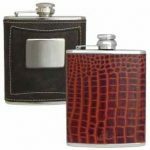 Of course we understand that everyone should be able to own and enjoy using a hip flask which is why we offer such a large choice ranging from luxury to our more cost effective economy range. 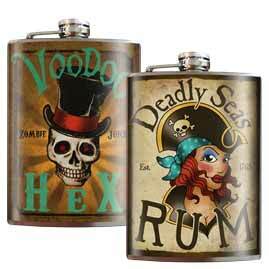 Our current stock variations number in the hundreds as we are always looking to find fun and funky as well as quality for our growing customer base. Leather wrapped flasks have been used for many years and make a stand out gift. 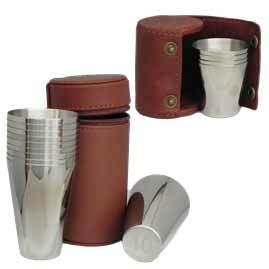 The leather gives a high quality finish as well as providing the user with something nice to touch while they drink. 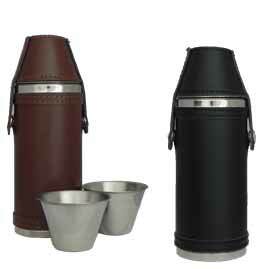 Some people are not fond of the harsh metal feel and look that a standard steel flask provides, leather is a great material for softening the look and feel of the finished product and giving it a more sophisticated look, especially if you take our English luxury leather collection in to account. 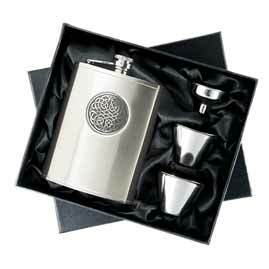 Our luxury leather range if made here in the UK and we are happy to work closely with UK based producers. 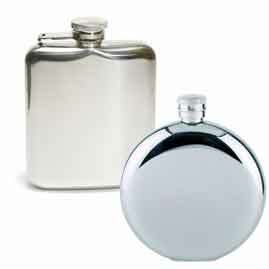 Hip flasks are the ideal gift for most occasions from birthdays, best man duties, fathers day, Christmas and many more. 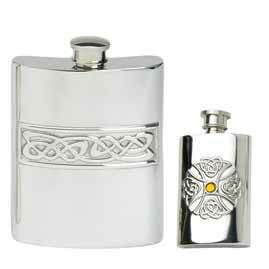 Our range covers many different styles and themes including Celtic, Sporting,weddings, Scottish, Irish, Welsh, English and many more so we are sure you will find one that fits your needs. 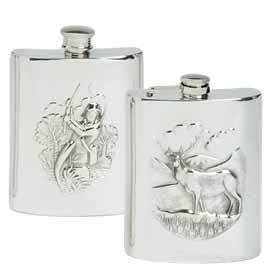 Don’t forget with our in house engraving service we can personalise you new item and make your gift really special. 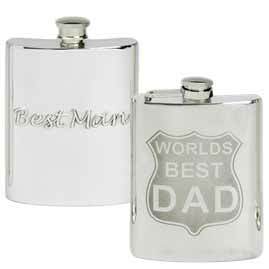 With thirteen fonts to choose from and the added bonus of logo engraving for customers who really want to make their gift unique. 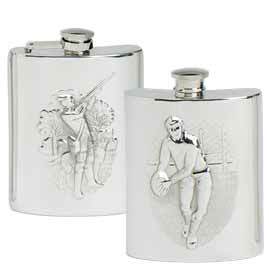 We also offer same day engraving and shipping on orders placed before 14:00pm, this service is available Monday to Friday and coupled with our next day delivery options you can receive your hip flask in super fast time. 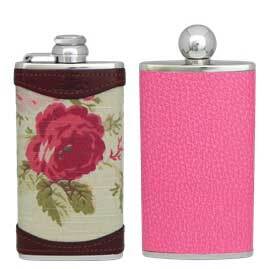 The Pocket Hip Flask Company work tirelessly to make sure our customers receive a reliable and fast service, we hope you find what you are looking for.